The Spa has proudly re-opened its doors following an impressive £19.5m redevelopment and refurbishment project, making it one of the north of Britain’s flagship entertainment venues. The classic 1930’s ballroom and Edwardian theatre have been sympathetically and lovingly restored, while state-of-the-art technology and a sleek new catering facility provide a modern edge. The Royal hall and Spa Theatre host the very best in drama, music, dancing, comedy and sports and can house audiences of up to 3,750. 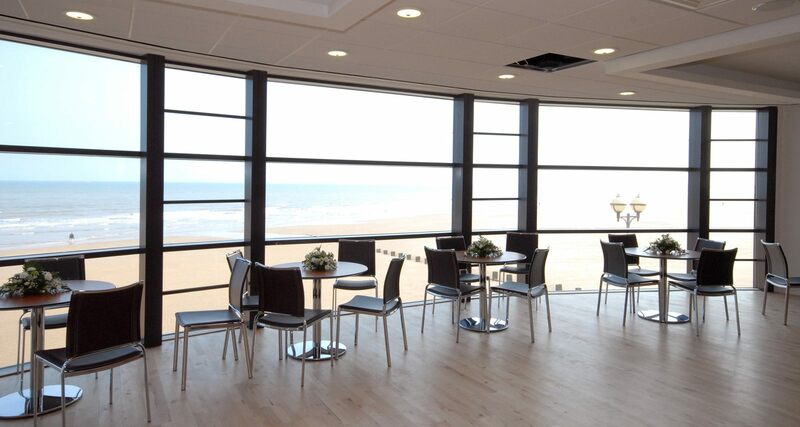 There are also numerous refurbished rooms available for conferences, exhibitions, weddings and meetings, many with stunning views onto the beach, across the promenade and sea. The Spa needed to accommodate and cater for up to 700 covers a night, and planned to provide the highest level of service. In order to do so they had to place their trust in reputable hands. Working closely with Wates Construction and the East Riding of Yorkshire Council, Manortec were awarded the prestigious contract and worked hard to ensure that the proposed design met with stringent requirements and building regulations. Not only did they design and install the full front of house suite, including the Box Office and reception, they also delivered a servery area and five Spa bars. Manortec partnered with Williams Refrigeration to provide walk in Coldrooms - fitting around the buildings restrictions, a roll-in blast chiller freezer, counter refrigerators and freezers alongside a range of prime cooking equipment (gas fryers, grills and boiling tops) from Williams sister company Falcon Foodservice. Matthew Franks, Head of Manortec Project Management, said “ The Spa looks fantastic and we are very proud to have been part of such a major redevelopment”.